How far is the BMW Welt delivery center from the Munich Airport? It can take anywhere from 30 to 45 minutes, depending on the traffic and time of day. How long does the delivery process take? We ask customers to allow ample of time to immerse themselves in the BMW Welt. It is certainly worthwhile. Customers should present themselves at the check-in counter at the BMW Welt at their scheduled check-in time, which is communicated to them in their confirmation letter. 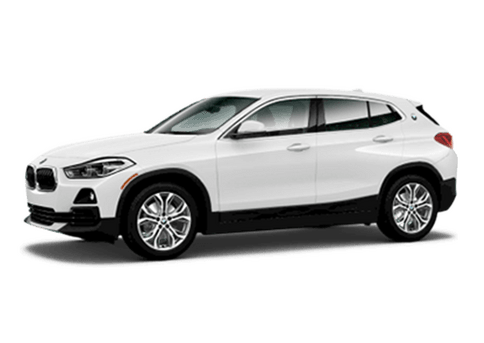 Customers will be provided with a comprehensive briefing in the Product Info Center, which is adapted specifically to the BMW the customer is purchasing. The big moment will be the presentation of the BMW vehicle to the customer in the spacious ambiance of the BMW Welt. A personal attendant will brief the customer and answer all questions about the vehicle. Anyone who is 18 or older can participate as long as they have a permanent residence in the U.S., a valid passport, a valid U.S. driver’s license and a social security number. When is the BMW Welt delivery center open? The BMW Welt is open to visitors every day from 9:00 a.m. until 6:00 p.m. For those picking up a new BMW, the earliest check in will be at 8:00 a.m. and the last check in at 4:00 p.m. Monday through Saturday, with the exception of holidays. Is there a minimum number of miles which must be driven before dropping the car off at a drop-off location? No, the car can be driven throughout your journey or it can be driven directly to the drop-off location at the Munich Airport. If you do not wish to drive, customers have the option to leave their vehicle at BMW Welt for shipment to the U.S. There will be a fee of 75 Euro cash, payable to the BMW Welt; at this time, credit card payments are not accepted. Are winter tires/all season tires required for driving in Europe during winter months? Germany passed a ruling that requires drivers to properly equip their vehicles according to inclement weather conditions. From October 15th until April 15th, driving conditions are dangerous due to ice or snow, cars must be equipped with All Season tires (also called 'M+S tires'). There might be street sections for which snow tires or even snow chains are declared mandatory. This often is the case for ski resorts and alpine passes. It is the responsibility of the car owner and driver to equip their vehicle appropriately for the prevailing weather conditions. If you do not appropriately equip your vehicle for the weather conditions that exist during your drive, obstruct traffic or get involved in an accident as a result thereof, it is possible you may be cited for a violation of the law by the local authorities or be found to be grossly negligent according to the law.Other countries you may visit including Austria and Switzerland may also have similar laws. If the Police find that you are not equipped with the appropriate items when the weather conditions deem them necessary, and if the officer feels that other traffic participants have been endangered, they have the authority to fine a driver 20 Euros or in some cases significantly higher. Please carefully review the options, packages, wheels and standard equipment of the vehicle you ordered with your Client Advisor. Depending on the model and packages you selected, the wheels and tires may change. You should ensure you have the proper tires and wheel for the climate in which you plan to drive. Customers have the option to leave their vehicle at BMW Welt for shipment to the U.S. if they prefer not to drive. There will be a fee of 70 Euro cash (no credit cards accepted), payable to the BMW Welt, for transportation of the vehicle from the Welt to the Munich drop off location. The following website outlines a snow tire rental option and includes pricing and details of booking the tire rental in Germany. Please be advised that all cars must come back to Munich to have your original BMW tires put back on the car before shipment to the U.S.
Am I going to be legally registered in Europe or the United States? Your automobile will be registered and delivered with German tourist license plates. The plates are valid for the period indicated on the registration documents and license plates. Customs regulations restrict the use of tourist license plates for private purposes. The customer is responsible for complying with any local regulations and taxes that may apply. Registration cannot be renewed and cannot be extended once initiated. Tourist plates are valid only in Europe. When the car is shipped to the U.S., you must arrange to register your vehicle in your home state and pay state sales tax. If I have a navigation system in my car, will it work in Europe? If you have ordered the Navigation System on your new BMW, European maps will be provided to you. Can I transfer my trip routes from my personal computer to the Navigation System? The BMW Routes feature offered on the German BMW website is not available for the U.S. Market. Unfortunately, it is not possible to transfer your desired trip via USB connection to your BMW Navigation System. However, if you bring a list of your destinations to the BMW Welt, your Delivery Specialist can assist you in entering the information into your Navigation System. Can I participate in a factory tour? Customers that pick up a vehicle at the BMW Welt can participate in a factory tour as part of their delivery experience. Reservations are recommended; please send your factory tour request to: infowelt@bmw-welt.com providing to them your production number, the date and time you will be at the Welt and how many tickets you require. The English-speaking factory tour is offered once per day in late morning. Can I drop off my car on the weekend? Drop-off locations are open Monday to Friday only. The drop off location in Munich may open on Saturday by appointment only; please contact the Munich office directly. All locations are closed on weekends and holidays. I’d like to keep the European plates as a souvenir. Is this possible? Both license plates must remain on the vehicle due to new European Customs Regulation. BMW understands that customers would like to keep their license plates as a souvenir; however, there is no guarantee that the license plates will be on the vehicle once it arrives at your U.S. Center. BMW of North America assumes no liability for replacements. Upon arrival at the Delivery Center, you must present a passport and valid driver's license for identification. What is the Road-Use Tax? The German Road Tax has to be paid on every vehicle registered in Germany. These fees are now included in your European Delivery vehicle price. What is the Registration and Insurance policy? BMW European Delivery provides 14 days of premium insurance and tourist registration with no additional cost to you. However, should you decide to extend this, additional coverage is available for purchase in 30-day increments only. Insurance beyond the 14 days and up to five (5) months is available for an additional premium. For example, for 45 days coverage, you would order two months of insurance, which is the actual coverage period, not one month plus 14 days. 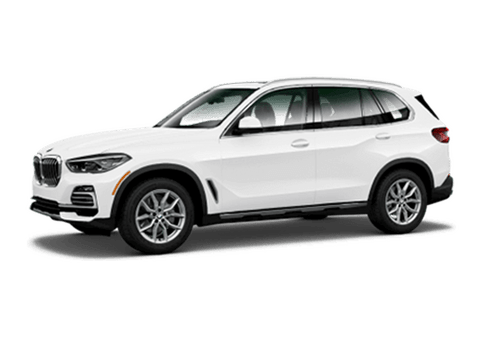 This coverage must extend to your drop-off date and can be arranged through your local BMW Center and must be done in advance to your pick up date. The European Delivery department must be notified a minimum of 2 weeks prior to pick up in Munich in the event of an insurance change. The change of insurance cannot be done upon arrival in Munich. Refunds are not possible on additional insurance purchased. If the Vehicle is financed or leased through BMW Financial Services, the Vehicle must be released for shipment to the United States no later than 90 days from the date of delivery. If you requested more than 2 months (3, 4 or 5 months) of insurance, you are required to drop off your vehicle at any of the German drop off locations. European Customs regulations mandate that the exportation process must start in the country of vehicle delivery, in your case Germany. All other countries are restricted because of the temporary tourist plates that are not recognized in non-EU countries. Also consider when planning your travels that you may not drive through any country that is not listed above. What do I need to know about Road Tolls? Certain highways and expressways in Austria, Switzerland, and the Czech Republic are subject to a toll and require a toll sticker to be purchased and attached on the front windshield of your car. These toll stickers must be purchased prior to entry into any of these three countries and can be purchased at gas stations, post offices and border crossings. Switzerland only offers a one-year denomination. Note: Austria requires an International Drivers License. Austria also requires a security vest for driver and passengers, which can be purchased where vignettes are sold. France requires also a security vest for the driver and each passenger, which can be purchased at gas stations. It is the responsibility of the customer to purchase these vignettes and they are not available for purchase at the delivery center. Failure to comply with each countries specification could result in a government fine. Is my license valid in Europe? We highly recommend that all drivers obtain an International Driver's License through the American Automobile Association (AAA). The International Driver License is mandatory in Austria and Spain. Drivers must be at least 18 years old. 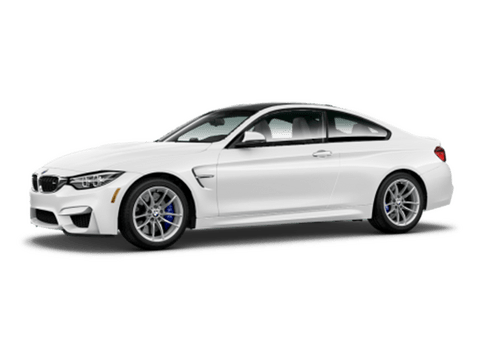 Will my BMW Assist & Bluetooth System work in Europe? How long will it take for my BMW to be shipped to the U.S.? The approximate shipping time of your vehicle to the U.S. depends on the drop-off location and the U.S. destination port. Vehicles dropped off outside of Germany may take an additional week. Upon arrival in the U.S., all vehicles require U.S. Customs and Department of Agriculture clearance. Do I need a safety vest? Many European Countries require safety vests to be carried in all vehicles. These vests are available at gas stations throughout Europe and need to be worn in case of a vehicle break down. Please check the Tourist website of the country you are planning to visit. Is it possible to install accessories on my vehicle in Europe? Due to the customs clearance process in Europe and the United States, it is not possible to install accessories on your vehicle prior to its arrival in the United States. Is the BMW i available for European Delivery? Currently, the BMW i is not included in the European Delivery Program. Where can I learn more about my vehicle's options?